Before we continue, I want to tell you that there are two kinds of network cable. 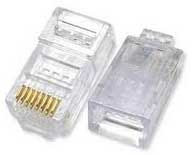 The first is Straight Cable, this cable have same sequence on both ends of the cable and usually used to connect different devices like computer to the switch. The second is Cross Over cable, this cable have different sequence on both ends of the cable and usually used to connect same devices like computer to computer, switch to switch, hub to hub and others. 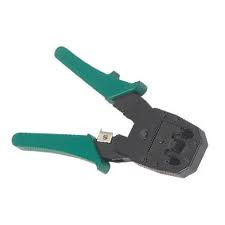 Prepare RJ45 Connector to be plugged at the both end of the cable and also Crimping Tool to clamp RJ45 connector in order to stick at the cable. Make sure that both end of the cable right touch to the connector then clamp it until get maximum result. If you have Cable tester for LAN (Local Area Network), it would be nice to test it first, but if you haven't just plug it into the LAN Card, if the cable work/connect it means the cable is work, but if the cable does not connect may you need to check the cable again until it really can be used. I hope this short article useful for readers and can add to the experience in making network cable.